Yes indeed, the Icelandic band Svartidauði, whom I’ve had the great pleasure of seeing live both in Reykjavík and here in the U.S., have a new album coming our way. Entitled Revelations of the Red Sword, it will be released by Ván Records on December 3rd, six years to the day after the advent of their debut album Flesh Cathedral. This morning, along with that announcement, the band provided a stream of a new song called “Burning Worlds of Excrement” — which could double as a headline for the daily news. The new song is simply terrifying. It has a toxic, pestilential, deeply oppressive quality, yet is also numinous, with filaments of eerie melody spiraling and chiming out of the depths of the roiling miasma of savage sound. The tempo of the song is in constant flux, and when the pace slows, a sense of hopelessness and misery oozes from the music. Relentlessly dramatic and accented by eye-popping drumwork and shuddering vocal horror, the song is a stunning herald for this new album. The members of this Texas band consist of guitarist/vocalist Dave Tillery (Embalmed, Gruesome Fate), lead guitarist Cody Daniels (Giant of the Mountain), and drummer Matt Thompson (King Diamond). 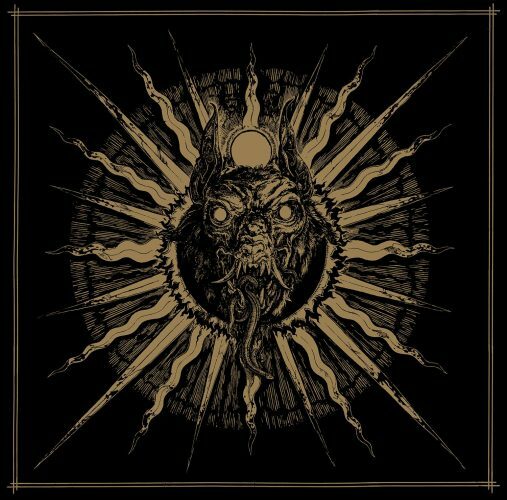 Their 2017 debut album, Unholy Wings, proved to be a remarkably intense and crushing experience whose interweaving of genre ingredients could be taken as a reflection of the members’ diverse musical interests and experiences. 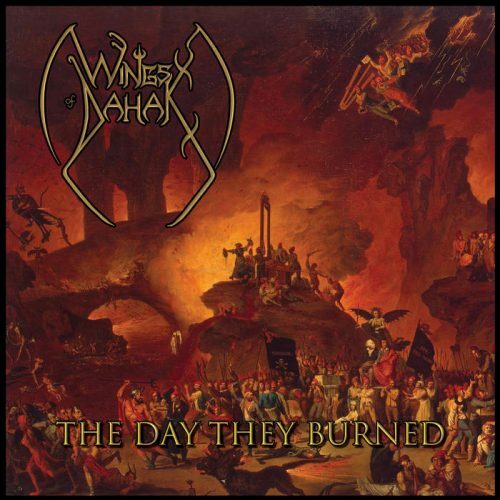 While we wait for another full release (for which I for one am eager), Wings of Dahak released a new digital single on October 12th called “The Day They Burned“. By happenstance, this song makes a fitting follow-up to the track at the outset of today’s round-up. It too is strikingly ominous and shrouded in gloom at first, and becomes increasingly savage and scintillating. The vocals are remarkably bestial and vicious; the drumwork is both punishing and magisterial; the bass performance is vibrant and brutalizing; and while the hammering and braying riffs create an atmosphere of looming evil and frightening destructive power, the soloing leaps from that combination of imperious, menacing sounds with striking clarity and eye-popping nimbleness. The song mounts to a crescendo of such shattering, explosive power that it left me near-breathless. If you haven’t yet discovered Wings of Dahak, put them on your radar screen immediately. 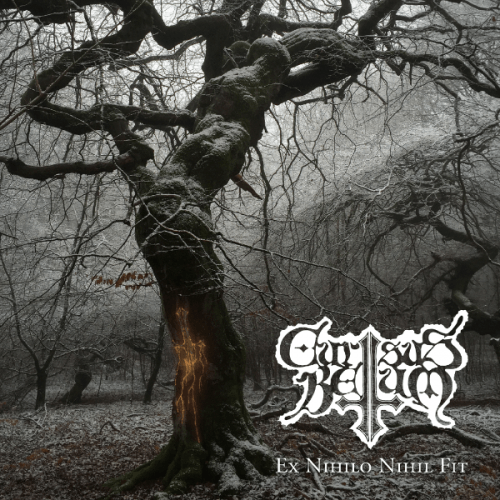 The British band Blasphemer, whose roots go back to 1990, returned to the field of battle with a self-titled album in 2017 after a 20-year gap in their musical output. The story of what happened to the band after their auspicious beginnings is recounted in this NCS interview. Fortunately, as that interview foretold, Blasphemer have let much less time pass between releases since then, with a second album now headed our way and due for release by Grind Scene Records on November 30th. While the self-titled album was a roughly 50/50 mix of old Blasphemer compositions and new ones, Lust of the Goat brings eight newly-written tracks, one of which surfaced just a few days ago. What you’ll hear on “Child Catcher” is a riveting, racing, turbocharged onslaught of boiling riffs, skull-cracking drumwork, white-hot soloing, and carnivorous vocal hostility — and then it becomes a cold-hearted piece of mid-paced murder before ramping up again to another hell-for-leather attack. There’s impressive technicality and inventiveness in the performance, and dynamism in the movements, and the overall impact is electrifying. 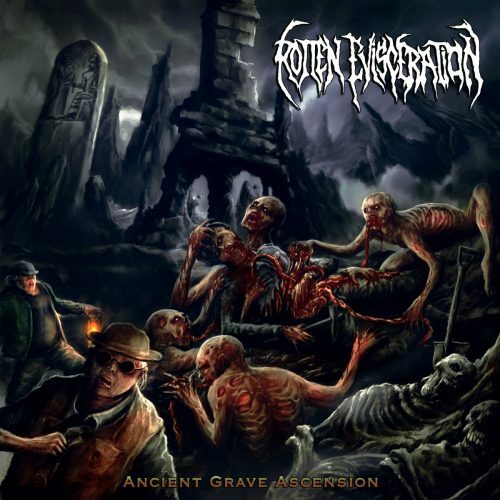 The Peruvian band Rotten Evisceration is a new discovery for yours truly. They have a horror-fixated debut album named Ancient Grave Ascension that will be released on November 1st by Clabasster Records in Germany and by Blood Spattered Axe Records and Guts ‘n’ Blood Records throughout the rest of the world (in a three-panel digipak format). They recently released a second advance track from the album, which shares the band’s name. 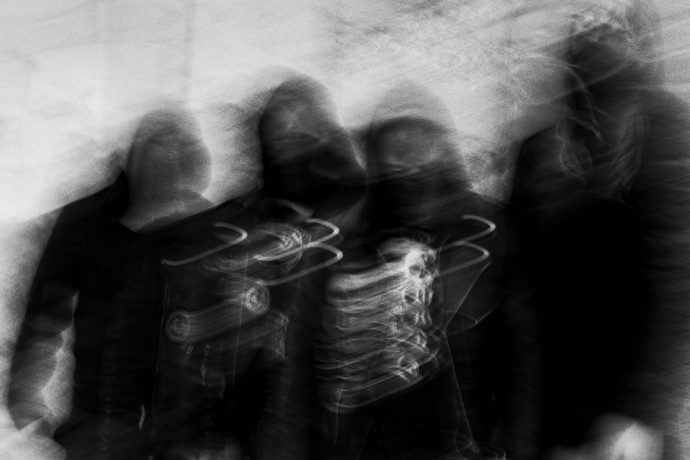 This particular track begins in bludgeoning mode, but that opening bit of brutish thuggery is followed by… more hard-charging brutish thuggery… segmented by bursts of galloping mayhem and outright lethal frenzy. You’ll encounter spitfire soloing, horrid guttural roaring, skin-shredding shrieks, fleet-fingered and fleet-footed instrumental extravagance, and a convincing disregard for human life. In sum, the song will put a megawatt jolt of power straight into your brain stem. Check out the new single below, as well as a lyrice video for the first one, “Ascending From The Putrid Grave”. There’s a big head-fake at the outset of “Life Eater” — a mesmerizing little acoustic intro that will in no way prepare you for the merciless savagery of the assault to come. And it really is merciless, the music driven fast and hard by frenetic drumming and by grim, furiously buzzing riffs. The leads are freakish, the vocals unhinged in their expression of fury and hatred, and the song is such a roiling, rapidly veering attack, with such technically impressive excecution, that it’s capable of raising goosebumps on your arms (and maybe raising the dead from their graves, too). You went out with a bang with Cursus Bellum! I like that old school logo. Big inverted cross figuring as two L’s. You’d almost think they had that cros first, then cast around for some nice metal sounding word with said L’s inm the middle.